Be prepared regarding what to do after motor vehicle accidents so that they can preserve their rights to compensation for their injuries and losses. In this blog series, we will highlight some of the crucial steps to take after motor vehicle accidents. 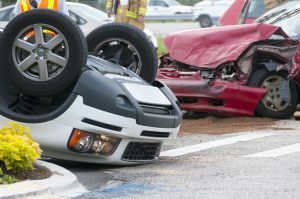 By keeping these important steps in mind and remembering to follow them after motor vehicle accidents, you can be sure to protect yourself while preserving your claim to an accident settlement. Step 1 – Call for help ASAP. Taking these steps after motor vehicle accidents can be critical to your future insurance claim and possibly a car accident case. Helping you and the other involved parties exchange the pertinent information (which we’ll discuss in the second part of this blog series). Ensuring there is a police report for the incident (this report can provide important info regarding the other parties/witnesses associated with the accident while also possibly backing up claims of liability in the collision). Step 2 – Get emergency medical care and wait for police to finish their investigation. As you wait for police to wrap up their investigation, make sure that you see any emergency medical responders who have arrived at the scene of the accident to get yourself checked out. After motor vehicle accidents, it’s not uncommon that a rush of adrenaline can prevent people from realizing how they may be injured; therefore, getting checked out is a good idea to ensure that you do not have any severe injuries that may need immediate attention. Here, it’s also essential to point out that you need to wait at the scene of the accident until police have cleared you to go (unless, of course, you have to leave for medical reasons). Leaving the scene before police have officially let you go can result in hit-and-run charges being filed against you, and this can create a world of trouble for you after motor vehicle accidents. We will resume our discussion of what to do after motor vehicle accidents in two upcoming installments of this blog series – be sure to check them out! Colorado Springs Motor Vehicle Accident Lawyer at Shakeshaft and Gorman Law Firm, P.C. Have you or a loved one been hurt in a traffic accident? If so, Colorado Springs Motor Vehicle Accident Attorney Kenneth Shakeshaft is ready to advocate your rights, help you recover financially and ultimately help you put your life back together. You can schedule a free initial consultation with us by calling (719) 635-5886 or (800) 383-5886. You can also email us using the contact form on this page. We don’t get paid unless or until you get paid, so you have nothing to lose and everything to gain by contacting us today.